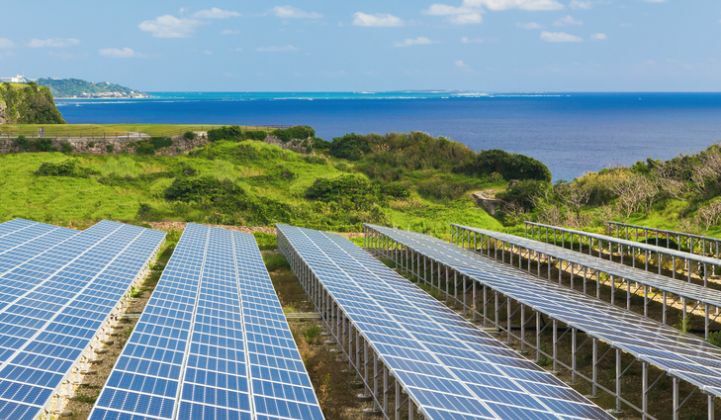 The Energy Gang looks at why island countries are such an important market for renewables—and why renewables are so important for island countries. Renewables like wind and solar largely are not linked to oil prices. But there are markets where the success of renewables is more closely tied to oil: islands. Or, more specifically, small island developing states, which make up 20 percent of U.N. member countries. These small island states are dangerously dependent on diesel -- causing energy prices to fluctuate wildly and forcing many people into fuel poverty. That makes them perfect candidates for renewables. On this week's show, we talk to Leslie Labruto, director of the islands energy program at the Clinton Climate Initiative, about why opportunities in island markets are expanding, even in the face of low oil prices. Then, we'll discuss a pivotal moment for nuclear. After much scrutiny, the U.K. government approved the 3.2-gigawatt Hinkley Point C nuclear expansion. We'll discuss this historic test case for the competitiveness of nuclear. Finally, a pivotal moment for America’s solar industry. We’ll dig into a debate about where the country’s biggest solar lobbying group needs to turn its attention. This podcast is sponsored by Mission Solar Energy, a producer of American-made solar cells and modules.